How To Win A Sales Argument is the title of a book my father gave to me when I first started selling. The book was written by Richard Borden and Alvin Busse and published in 1926, almost 100 years ago. Why Use The Term “Sales Argument”? 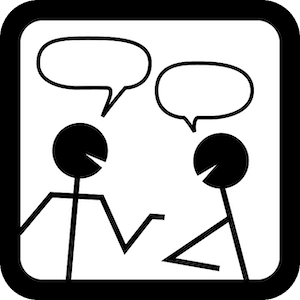 “Argument” comes from the Latin word “arguere” which meant to make clear or prove. Through the years into middle English the meaning changed to the process of reasoning. While in current use, “argument” has a negative connotation, perhaps in 1926 it was a more acceptable. What Did Borden and Busse Mean By “Sales Argument”? In my experience the well-executed sales conversation is the best technique for developing mutually beneficial long-term relationships. That may be because the products and services I have sold are complex with long sales cycles. That said, even my successful friends who work in one-call-close businesses use sales conversations. One of the simplest examples of a sales presentation is the nice ladies at my Costco store handing out samples of tasty food and asking you to buy some. In a sales presentation the sales person is pushing what they have to sell not necessarily what the customer needs. I often get calls from a delightful person who wants to sell me a Florida vacation. They present all the benefits of coming to their resort without first asking whether I consider Florida as a vacation destination. I don’t. Sales presentations do have a place in successful selling. When I go the to auto parts store to buy a battery, the sales person explains the benefit of the various brands and prices of car batteries. But he does that after establishing I want to buy a battery. He doesn’t try to sell me windshield wiper blades just because I came on a rainy day. How Is A Sales Conversation Different From A Presentation? 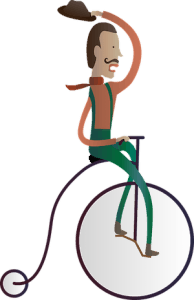 Sales cycle is the process salespeople use to close a sale. 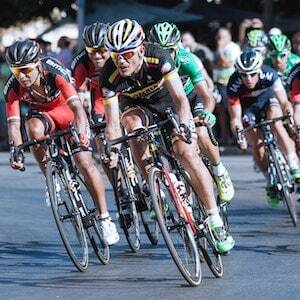 The sales cycle must be managed for a positive outcome. While there are sales cycles the purchaser also has a preferred method of buying. There are different types of purchases: one time buy, new buy, recurring purchase, straight rebuy, modified rebuy. For each of these the buying cycle and necessarily the sales cycle varies. One time buys, for example, are typically expensive purchases made infrequently. For the consumer it would be a home. In the business world: a new factory or even the acquisition of a company. Straight rebuys are those where the same product is purchased again. For a farmer it might be seed or fertilizer. A university might purchase printing. Recurring purchases can be raw materials for a manufacturer or toothpaste for your home. In general the more expensive and higher risk the purchase, the more complex is the buying and sales cycle. What are you afraid of? We all have fears. 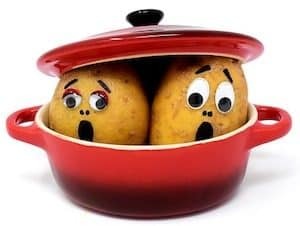 This is a sales blog let’s address some of the common salesperson fears. Yep, that’s a big one for me. What if I don’t meet goal? What happens if I lose the order. Perhaps it is years of experience having these salesperson fears that had made me less conscious of them. Think about goals. 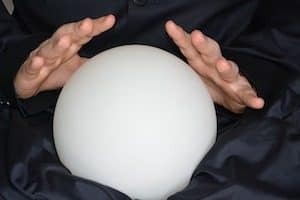 They are based on predictions made with limited information. Since I set reasonable goals I will do the activities to achieve them. I turn the goal into a motivation and don’t worry about not reaching it. I don’t have a 100% closing record and I don’t know anyone who does. We will all lose orders for many reasons. When we are so fearful of losing an order we don’t even pursue the business, that’s a problem. A positive attitude, great selling system and diligent work will likely win more times than you lose. Working hard and winning often will overcome this salesperson fear. Think about it. How do you want to be sold to? Are you comfortable when the selling style doesn’t fit your buying style? My wife and I were shopping for a used car for one of our kids. We needed to buy her something functional with a few years life left in it. OK, a cheap one! I did an Internet search and found a couple of cars fitting the specification. When I called the dealer and I spoke to a pleasant salesman. I told him we were looking to spend $1500 for a used car and he said there were cars at that price on his lot. Furthermore I asked whether when we showed up if he was authorized to make the deal. He assured me he was. The salesman had enough information to tailor his selling style to my buying style. All sales people have a finite amount of time to invest in their work. Should they use the time retaining or acquiring good customers? It’s a simple question worth evaluating. What’s The Balance Between Retaining and Acquiring Good Customers? My best customers have integrity, place all the business they can with me, pay on time and refer me to other customers. This is the “A” list. The “B” list customers are those who have potential to be on the “A” list but haven’t been developed to that level. Continuing along the customer rating scale, prospects are those potential customers who have the same characteristics as a best customer but are still being evaluated. Where Is The Balance Between Retaining And Acquiring? Here is the first post of 2019. Like others I’m sure, I made New Years Resolutions. That was the easy part. Keeping those resolutions is the challenge. Enthusiastic Leap Into the New Year! Resolutions are in a way an expression of the vision for what one wants to achieve. Goals lay out the way forward to achieve that vision. SMART goals are Specific, Measurable, Achievable, Reasonable and have a Time line. So, how do resolutions become goals? Take my resolution of working harder in the business. I need to make that a series of specific tasks: attend one networking event a month, make 5 sales calls a week, write a blog post each week, review progress on goals each week. These all meet the SMART test. Living a more healthful life is noble but vague. One element of a more healthful life for me is exercise. So a goal is to hit the gym at least 4 days a week and complete my one-hour workout diligently. Does this goal meet the SMART test? Mostly. The Measurability of the goal might seem questionable but I know when my one-hour workout is goal achieving or not. I believe selling is all about activities. Do the right activities well and sales goals are met. So when I set the goal of 5 sales calls per week, I will have to do the prospecting and appointment setting activities to achieve that goal. I will need to know how many prospects I will need to contact to get the 5 appointments. You get the picture. Define all the activities to be done to meet the goal. Then go do them! Take a look at the resolutions you made. Write them down. Post them where you see them everyday. Then define the goals to make those resolutions come true. Write out the activity plan for the next month to assure you meet the goal. Then set about enthusiastically doing the work making your dreams come true. To learn more sales secrets see Chapter Eighteen, Setting Your Goals, in Secrets of the Softer Side of Selling. For even more sales help, join our FREE Sales Club! “See” you next week. 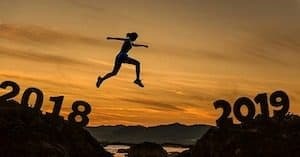 As we close the book on sales plan 2018 and look forward to the New Year, check out seven ideas to make 2019 a great sales year. Your company has a sales plan to reach their goals. Each salesperson needs to have a personal sales plan too. What worked? What didn’t go according to the sales plan? Take an inventory of the successes and failures of this year and set the strategy for the next year’s sales plan. Tell your customers how much you appreciated their business. This is a good time to also check to see they are still pleased with you and your company. If they have concerns, take care of them immediately. If they are glad to be doing business with you ask for referrals. Set a sales plan strategy to win new business from the referrals. I don’t mean be a savant. Get a sense of what is expected in your markets for the coming year. Talk to centers of influence in the markets you target. 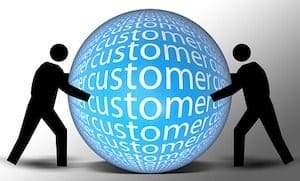 Check in with your customers to see what their plans are for 2019. Are there new prospects in your market to sell to in the coming year? Can you see weaknesses in the competition you can exploit? Will your company be rolling out new products or services. How will these affect your personal sales plan? Use this information in the sales plan for the coming year. The best sales people are always working on personal improvement. Over the past year did you increase competence it selling? Which techniques improved? As you look back over the sales plan for 2018, what could you have done better? Which selling skills will you work on to improve over the coming year? Are there changes in the product mix you sell? What new skills will be needed to sell the new products? Write a personal sales plan to insure you meet your personal goals in support of the corporate goals. Now is the time to get with your mentor to look over the past year and talk about the next. Mentors are valuable to sales people. If you don’t have one get one. Look for someone either within your company or in your network who has an interest in seeing you become successful. A mentor has the experience and wisdom of years and can help you see aspects of your professional life invisible to you. Ask your mentor to review your sales plan. A good mentor will challenge you on the various aspects of your role in achieving the goals in the sales plan. Vision or dream, whatever you call it, how you want to see the future is important. Your sales plan is written to make your dream come true. Take some time now to reflect on and revise your vision. How long has it been since you wrote your vision? Yes wrote it! Of course it’s nice to have the dream but when you commit it to paper something happens. It might be magical but those who have taken the time to write out their vision and step-by-step goals to achieve it are those who succeed. The vision and goals is the substance of your personal and corporate sales plan. 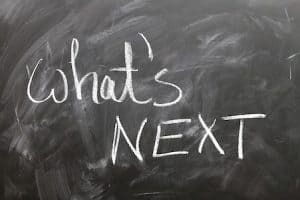 If you are a sales manager at whatever level and have sales teams reporting to you, encourage your sales people to take these steps to prepare for the coming year. Meet with your team individually or in groups to make sure they are ready for the coming year. Take a look at the members of your sales team. Even your top performers need coaching to improve their skills. Evaluate everyone’s activities, behaviors and attitudes and offer constructive feedback on ways to improve. To learn more sales secrets about your sales plan, see Chapter Eighteen, Setting Your Goals, in Secrets of the Softer Side of Selling. For even more sales help, join our FREE Sales Club! “See” you next week. I write this blog post during the holiday season in 2018. I was doing some of the odd jobs associated with life and thinking as I worked about how gratitude works. This year we again gathered with family and friends to celebrate gratitude around the Thanksgiving dinner table. 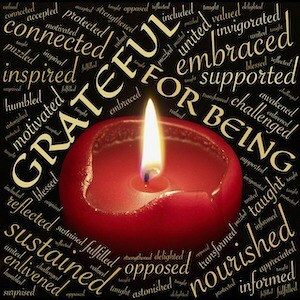 Our tradition has been to have each of those present take a moment to express what they are particularly thankful for. To move away from the stock answers of “family”, “food” and “friendship,” our hostess asked us to choose a letter then use it to create our thankful comments. Reflecting on the Thanksgiving experience I occasionally think about a letter and reflect. The letter G came to mind the other day and “gratitude” popped into mind. I’ve lived a good life filled with many things to be thankful for and this day I thought of “G” and “gratitude” as it relates to my career in sales. Over the years I’ve been blessed to work with people who kept me focused. In the companies I sold for there were mentors, leaders and colleagues who coached and taught me. With their help I became a successful salesman. I often reflect in gratitude to each of them by name and the specific skill I learned from them. Customer satisfaction is what drives me. When what the customer needs meshes nicely with what I offer, a sale is made. The key part of that transaction is the customer. My practice has been to say “thank you” often. I show gratitude for the privilege to meet with a customer. I thank them for answering questions throughout the selling process. I’m grateful and express it when they refer business to me. I enjoy the professional friendships with my customers. Regrettably, not all sales pursuits end in victory. But even then I can be grateful. The lessons learned from the failed sales taught me how to be successful in future sales. By having a mutually beneficial respectful relationship with customer, they give me valuable feedback on the sale. Now, don’t misunderstand. While I can show gratitude in losing the sale, I’m not at all happy about that. But gaining knowledge through the loss is valuable and I can be grateful for the experience. So here is my request of you. Take time to reflect on your life. Personal, family and professional. How have you been blessed? How do you show gratitude? Thank you for reading this blog post on Gratitude. If you have bought our book “Secrets of the Softer Side of Selling,” thank you. If you have read it and profited from it, I’m grateful I could contribute to your success. Would you like a copy of our book? Follow the link below. To learn more sales secrets read Secrets of the Softer Side of Selling. For even more sales help, join our FREE Sales Club! “See” you next week. In an ideal world you would never have competitive bidding. But, hey, check it out. The world we live in is not ideal. Buyers continue to make us compete for business. So how do the best sales people survive and thrive? It’s not that they never bid. But they do it on their own terms. To Bid or Not To Bid? Think about the “bidding” process itself. Buyers, to be sure they are getting equivalent bids from all bidders, usually write a specification or some other form of “bid package”. The best sales people are involved in the preparation of the specification. Take for example a contract to provide office supplies to large corporation. The office supplies are available from a large number of similar manufacturers. So in theory competitive bidding would yield the lowest price for each product. The clever sales person works with the buyer to have the specification written around a particular service that sets him apart. Perhaps they have the systems in place to deliver the office supplies to a cabinet in each department. Or will maintain an on site store for office supplies where the customer is only billed when the items are taken. If the specification is written to provide those services unique to you, chances of winning improve dramatically. In the construction business architects design the building and specify how it is to be built. When a lighting fixture manufacturer convinces the architect to require their products then all the construction companies will include those light fixtures in their bid. No matter which construction company wins, the lighting manufacturer gets the business. The best sales people know where in the process the decision to specify their product is made and they focus their attention there. Our national accounts team met with the purchasing team and their senior safety management team. The national accounts team turned the discussion from saving 5% by competitive bidding to reducing the overall incident rate of workplace accidents. During the meeting they learned the most common accident was railroad workers getting struck by trains because they weren’t seen at night. The safety products company committed to reducing the cost of workplace safety incidents by 20%. They won the business and developed a line of reflective apparel that made railroad workers highly visible at night. The overall savings to the railroad was much greater than would have been achieved by reducing the purchasing price by 5%. The champion sales person gets to know the purchasing team at his customers. By building a long-term, mutually respected relationship, they can ask the important questions of their customer to decide whether participating in a competitive bid is in their best interest. When the champion sales person chooses not to bid, he explains the reason to the buyer their reason and if appropriate helps the buyer seek other companies to bid the project. 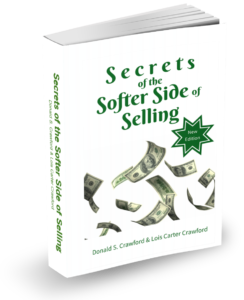 To learn more sales secrets see Chapter Nine, Building Rapport, in Secrets of the Softer Side of Selling to learn how to earn buyer’s respect. For even more sales help, join our FREE Sales Club! “See” you next week. Available in Kindle or paperback format on Amazon. BE THE TOP DOG—THE BIG KAHUNA—THE LEADER OF THE PACK! If you always do what you've always done, you'll always get what you've always gotten. Want to do better? Learn how to be the top dog. Order your copy of Secrets of the Softer Side of Selling now! And sign up below for our free Sales Club, where each week you will get tips on how to increase your sales and become the top dog. Join the sales club—it’s free! We are a participant in the Amazon Services LLC Associates Program, an affiliate advertising program designed to provide a means for us to earn fees by linking to Amazon.com and affiliated sites. Please read our Full Disclosure . Secrets of the Softer Side of Selling and Softer Side of Selling are Marketing Idea Shop brands. All content and graphics ©2018 Marketing Idea Shop, LLC. With our help, you can challenge yourself to close more sales, earn more revenue & drive your competitors crazy. Copyright © 2019 · All Content and Graphics Are Property of Marketing Idea Shop, LLC.